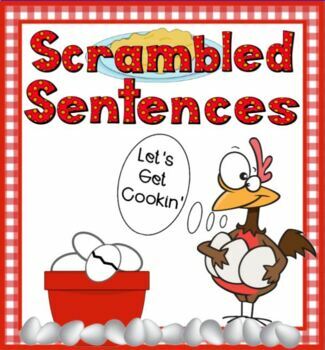 Your students will have fun putting together scrambled sentences as they learn their high frequency words. Sentences are constructed with 1st and 2nd grade high frequency words. 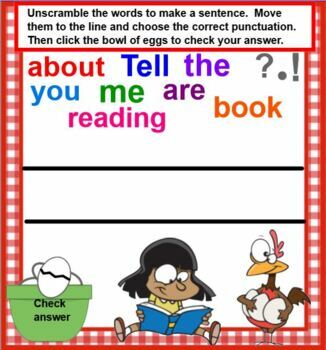 Students must unscramble the sentences and put the words in order to make a sentence. Last they must choose the correct punctuation at the end of their new sentence. 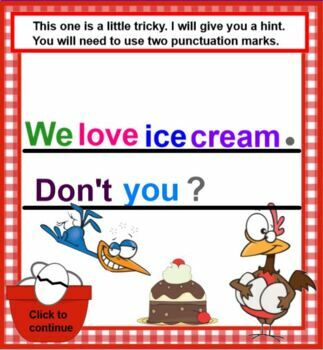 All slides are self checking with the click of the mouse so this lesson works very well in an independent center or station. May also easily be used as a mini-lesson or group activity. Includes recognition of capital letters at beginning of sentences, punctuation at the end of sentences, and review high frequency words. Created with Smart Notebook 15. 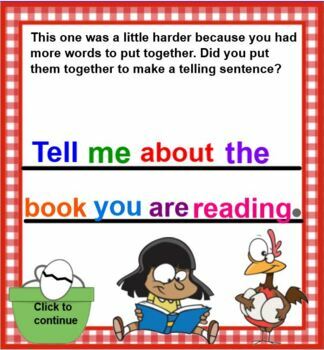 Great for grades 1-3 depending on the level of your classroom. MUSY have SMART Notebook software to download and use.